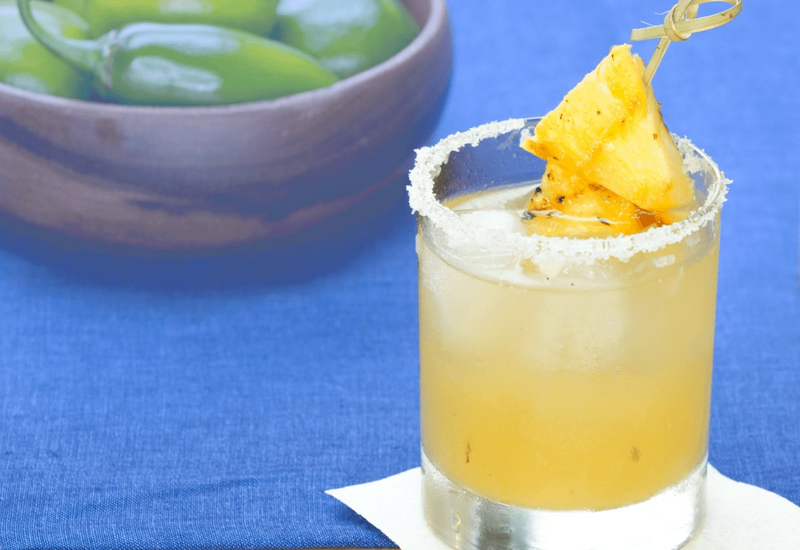 A margarita is only as good as the tequila used to make it, so find the best-quality tequila you can find to make this delightful recipe. For a fun garnish, quickly grill some extra lime slices and place them on the side of the glass. Per Serving: 109 calories; 0g fat; 23.6g carbohydrates; 0g protein; 0mg cholesterol; 1mg sodium. This is my go to margarita recipe! The pineapple and jalapeño give off that delicious grilled flavor. It might sound strange, but it's seriously life changing. Find yourself the best bottle of tequila and try it! I was hesitant about trying this recipe at first, but my husband and I decided to make it when we had some friends over from out of town. We tried and loved it! We actually cored the pineapple, and poured the margarita into that instead of a cocktail glass. So much fun and very delicious! I used tequila mix and added the grilled jalapeno and pineapple. Loved the flavor that it added! So good! Sweet and spicy margaritas are my fave. I thought this recipe was really good, but the drink was a little strong. I'd definitely make this again, just toned down some. We did grilled pineapple frozen daiquiris instead of margaritas and they were really good. Such a great idea!